A delightful variety with attractive silver-gray foliage, edged greenish gray, that looks fresh most of the summer. White flowers in June and July bring out the silvery sheen of the leaves. It’s a cool, quiet look just right for a hot day. 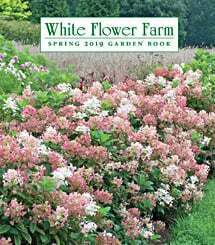 'White Nancy' will blend with any neighbor, whether it’s covering the feet of foundation plantings on the shady side of a house, or joining Ferns along a woodland path. Most of the 40-odd species of Lamium are rampant-growing plants from Asia and Europe. All tolerate poor soils and a range of light conditions. The few ornamental varieties have the great value of being lovely ground covers that prosper in dry shade. For more information on growing Lamium, click on Growing Guide. Plant in partial shade or shade. Lamium is not fussy about soil and tolerates dry shade in the North. Spreads rapidly but not invasively. Shear plants (lightly in the North and West, almost to the ground in the South) after the first wave of flowering to keep Lamium tidy and to encourage rebloom. Foliage is evergreen in mild-winter climates.